Hello blogosphere world and welcome to my second installment of My self care series! 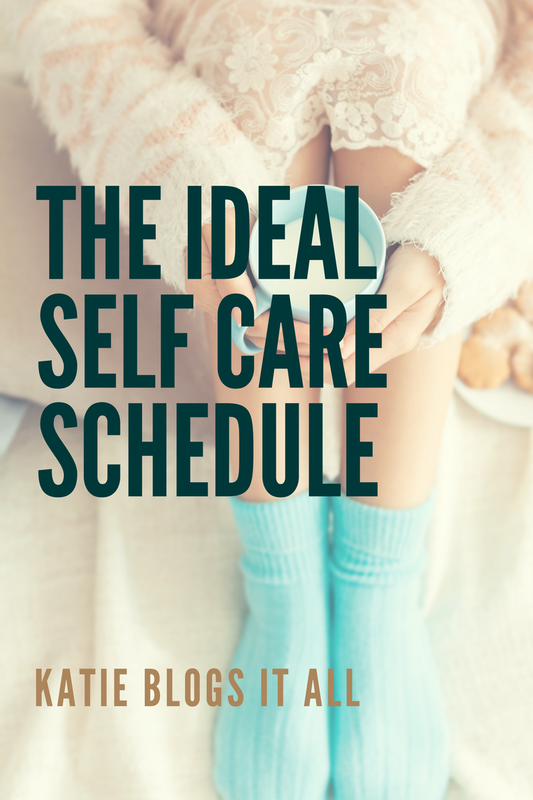 I loved writing the first part to this little series in which we talked about ways you can follow self-care and how it can affect your day-to-day life so today I thought I would do something a little different and write out the ‘Ideal’ schedule to follow for a weeks worth of top-notch self care! Now obviously this isn’t something everyone would be able to follow religiously, but I really like the idea of having a week every once in a while where I take care of myself more and hopefully my schedule will work as inspiration for like-minded people out there! So here goes my Self care schedule! Start the day with guided meditation – A nice calm and different way to start not only your day but your week! Start reading a new book or an old favorite – honestly one of the most soothing, cosy things to do is curl up with a good book. List all the things you want to achieve this week – For those list lovers like myself out there! Drink a soothing cup of Tea – there isn’t much on this earth that can’t be solved with a good cup of Tea! Make a conscious effort to drink more water throughout the day. Take a well deserved mid-week nap! Nothing refreshes you more than a Nana nap! Make a list of the things you love about yourself – Again another one for the List makers out there! Listing those amazing things about yourself can only boost your mood! Blast music so loud you can’t think about anything to worry! De-clutter or re-arrange a room in your house – A little change of scenery can be a wonderful thing! Phone someone you care about – Make time for those people in your life that matter the most. Meet up with friends – Its Saturday go out and actually socialize! Go somewhere new even if this is just to a new coffee shop that’s opened up near where you live! a change of scenery is always good! Throw on comfy clothes – Make the most of a lazy Sunday and wear your most comfy clothes! Have a movie marathon day! So these are just some of the ways I’m going to start incorporating different self-care methods into my life! It’s a lot easier to plan out small things that you can drop into day-to-day life than try to completely overhaul your existing weekly routine. Hope you enjoyed todays post lovelies! What are some of the ways you use self-care methods in your day to life? I’ll be back with another post tomorrow speak to you all soon!!! Previous Post I’m back just in time for Easter! Next Post Met Gala 2017 – My favorite looks! Love this post. Im not a good planner but will definitely try this. Thank you for sharing. Great post! I need to put myself on more of schedule. I have been taking yoga classes and its been grand. Thank you! Yoga classes are something I’ve always wanted to try! They are amazing, you should do it for sure! It is so fulfilling to learn a new pose as well.